This feminine yet modern bracelet is new for Cruise 2019. 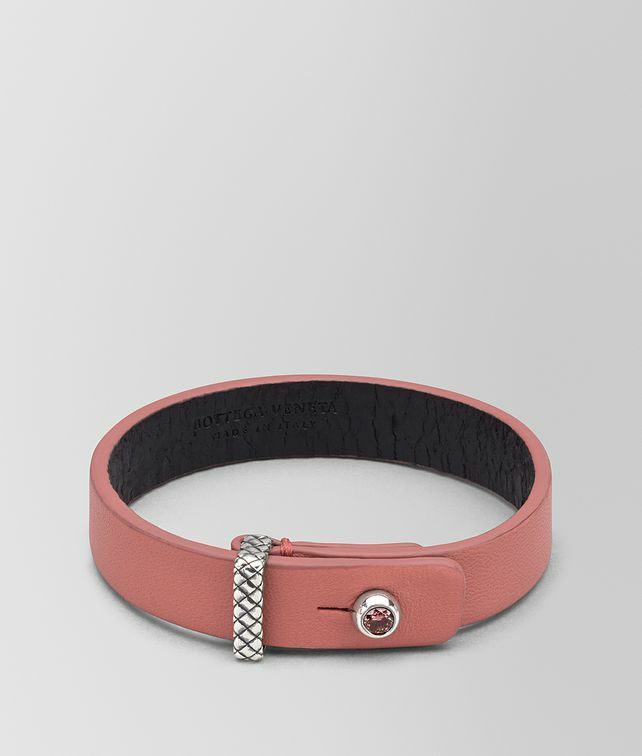 Made in nappa leather, the bracelet has a silver loop engraved in the intrecciato motif and features a sterling silver button embellished by a cubic zirconia gemstone. Finished with a black cuir lining.